10 Is Malachi 4:1-5 Applicable to Everlasting Destruction? Here we shall look at prominent biblical examples of literal everlasting destruction that back-up the numerous passages which blatantly state that unrighteous people will be destroyed in the lake of fire and not suffer never-ending roasting torment, such as Matthew 10:28, 2 Thessalonians 1:9 and 2 Peter 3:7. Let’s start with the very word “hell” itself. There is only one biblical word translated as “hell” which refers to the lake of fire and is therefore relevant to the final disposition of ungodly people: Gehenna (GEH-en-nah). Gehenna is the Greek form of the Hebrew Ge-Hinnom, which literally means “the Valley of Hinnom.” The Hinnom Valley, also referred to as Topheth (TOH-feth), which means “a place to be spat on or abhorred,” borders Jerusalem to the south and can easily be located on close-up Bible maps of Jerusalem. It is to this valley that Jesus was referring to when he said, “…be afraid of the One who can destroy both soul and body in hell (Gehenna).” Why would Jesus use this ravine located outside the walls of Jerusalem as an example of the lake of fire and the destruction that will take place there on Judgment day? To answer, let me briefly inform you about Gehenna’s history: The worst of Judah’s kings practiced pagan worship in the Hinnom Valley, with child sacrifice being a particularly offensive aspect of this “worship” (2 Kings 16:3; 21:6). 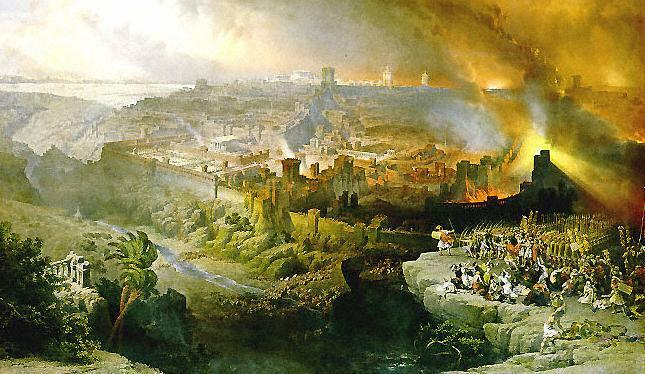 The valley apparently became a fiery disposal dump for 185,000 Assyrian warriors slain by the LORD (see 2 Kings 19:35; Isaiah 30:33 & 37:36), and, later, it would overflow with Israelite corpses as well when God judged Judah for its sins. Consequently Gehenna became known as “the Valley of Slaughter” (Jeremiah 7:30-34 & 19:2-13). Note incidentally that Gehenna was known as “the Valley of Slaughter” and not “the Valley of Eternal Conscious Suffering,” an important difference. 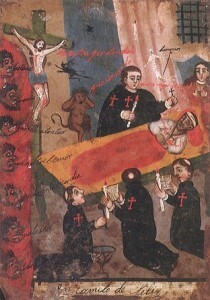 Needless to say, long before Jesus’ earthly ministry Gehenna had a negative image of sinful rebellion, fire and death. After righteous King Josiah desecrated Gehenna as part of his godly reforms (2 King 23:10), the valley became the perpetually smoking trash dump of Jerusalem, which it was at the time of Christ. As a hygienic incinerator, Gehenna’s fires were kept constantly burning in order to burn up the refuse thrown in — trash, garbage, animal carcasses, corpses of despised criminals and vanquished enemies. As would be natural in such a climate, worms or maggots bred freely and preyed upon the filth, so whatever was not burned up in the fires would be devoured by maggots. It was this garbage dump that Jesus referred to as an example of the lake of fire where God will “destroy both soul and body” (Matthew 10:28). The question must be asked: Why did Jesus feel Gehenna would be a good example of the second death? Because Gehenna was a very certain symbol of destruction which all of his hearers readily understood. We saw in Chapter One how supporters of eternal torture argue that “destroy” only refers to a ruined condition but this does not fit Jesus’ usage of Gehenna as an example of the second death. Why? Because every cell of every body thrown into Gehenna was either burned up in fire or digested by worms; a body could not be destroyed anymore completely. The implication of Gehenna is clear: those who reject God’s love in Christ will ultimately become God’s garbage, and hence will be disposed of in God’s incinerating “garbage dump,” the lake of fire. We cannot properly understand Christ’s teaching about the lake of fire and eternal punishment without keeping in mind this picture of Gehenna. Refuse was thrown into Gehenna for the purpose of disposal and eradication; it was therefore a perfect choice for Jesus to use as an example of the second death. When this is done we get the proper impression of disposal and eradication rather than that of never-ending fiery torture in a devil-ruled nether realm. Disposal and erradication is the impression Jesus endeavored to give. Jesus also used many examples of literal everlasting destruction in his parables to further back-up his words and to clearly illustrate that God would indeed ultimately destroy the ungodly in the lake of fire. We should take these parables seriously because the Bible says that Jesus spoke in parables to reveal “things hidden since the creation of the world” (Matthew 13:35). Jesus used parables as an easy-to-understand way to reveal scriptural truths to the common people. In many of these parables natural things were used symbolically in order to explain principles of truth. For instance, the “ground” in The Parable of the Sower (Luke 8:1-15) represents a person’s heart and the “seed” represents the word of God. Jesus is saying that just as weeds are burned in the fire in his story, so it will be with ungodly people — God’s enemies — at the end of this age on judgment day. When literal weeds are burned, they are burned up. Was Jesus using a wrong example here or did he mean what he said? The obvious answer is that Jesus meant exactly what he said. When the ungodly are thrown into the lake of fire, they — like the weeds — will be burned up. As is the case with the Parable of the Weeds above, the “fire” in all these examples is, of course, a reference to the lake of fire. When the ungodly are thrown into the lake of fire, they — like the trees, branches and chaff — will be burned up. As you can see, Jesus makes the issue of human damnation so simple and clear that even a child can understand it. Do not fret because of evil men or be envious of those who do wrong; (2) for like the grass they will soon wither, like green plants they will soon die away. Notice how evil people are likened to grass that will soon wither and to green plants that will soon die away. For evil men will be cut off, but those who hope in the LORD will inherit the land. (10) A little while and the wicked will be no more; though you look for them, they will not be found. (11) But the meek will inherit the land and enjoy great peace. (12) The wicked plot against the righteous and gnash their teeth at them; (13) but the LORD laughs at the wicked for he knows their day is coming. These verses prove that this is an eschatological passage — a text dealing with the ultimate fate of humankind and the world. Note how verse 9 refers to a time when evil people will ultimately be cut off, but “those who hope in the LORD” will inherit the land. Verse 11 further emphasizes that the meek will inherit the land and verse 29 adds an important detail, stating that “the righteous will inherit the land and dwell in it forever.” These two verses coincide with Jesus’ statement in Matthew 5:5 regarding how “the meek shall inherit the earth.” Jesus was of course referring to the new earth spoken of in Revelation 21:1-4. Biblically, we know that all evil people will not be cut off until “the day of judgment and destruction of ungodly men” (2 Peter 3:7 & Revelation 20:11-15) and that the meek or righteous will not inherit the earth forever until the new earth, the home of righteousness, is revealed (2 Peter 3:13). Furthermore, observe verses 10 and 13: “A little while and the wicked will be no more… but the LORD laughs at the wicked for he knows their day is coming.” Verse 10 refers to a time when all the wicked will be “no more” and the Bible clearly reveals that the only time this will become a reality is, once again, “the day of judgment and destruction of ungodly men.” This is why, according to verse 13, the LORD laughs at the wicked because “he knows their day is coming.” What day? Why, the day of judgment, of course! But the wicked will perish: The LORD’s enemies will be like the beauty of the fields, they will vanish — vanish like smoke. Note the explicit proclamation that “the wicked will perish.” It doesn’t say that the wicked will be consciously tormented in fire forever and ever, but that they will perish. The rest of the verse gives a natural illustration so that we may perfectly understand this perishment of the wicked: it likens God’s enemies to “the beauty of the fields” that will be burned up. According to this unmistakable example what will be the ultimate end of God’s enemies? It says “they will vanish—vanish like smoke.” Once again, I have to ask, how much clearer could the Scriptures possibly be? The LORD’s enemies will not perpetually exist in fiery conscious torment, they’re going to be utterly consumed by fire and go up in smoke. Land that drinks in the rain often falling on it and that produces a crop useful to those for whom it is farmed receives the blessing of God. (8) But land that produces thorns and thistles is worthless and is in danger of being cursed. In the end it will be burned. This example perfectly coincides with Jesus’ two examples above: every tree that does not bear good fruit will be cut down and thrown into the fire; every branch that bears no fruit is cut off the vine and thrown into the fire. Likewise, the worthless land which produces thorns and thistles will be burned in the end. The purpose for burning such a field is to destroy that which is useless, not to preserve it. In the same way, ungodly people who fail to bear good fruit will be destroyed, not preserved for eternal conscious misery. NOTE: One mina was equal to about three months wages. 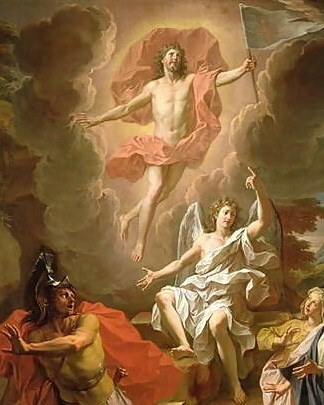 The symbolism in this parable is obvious: the “man of noble birth” is referring to Jesus, the Son of God; the “distant country” where the man of noble birth goes to have himself appointed as king and then return is the world; the place he would return to is heaven; the subjects who hated this newly appointed king and rejected his kingship is referring to people in this world who love sin, hate Jesus and reject his Lordship. The king having his subjects who hated and rejected him brought before him is an obvious symbolic reference to the white throne judgment (Revelation 20:11-15) and possibly the pre-millennial judgment of Christ as well (Matthew 25:31-46) both cases in which those who reject Jesus as Lord will be thrown into the lake of fire to suffer the second death. Notice what the king in the parable ordered should be done with these subjects who utterly rejected him — he said that they should be brought before him and killed in front of him! 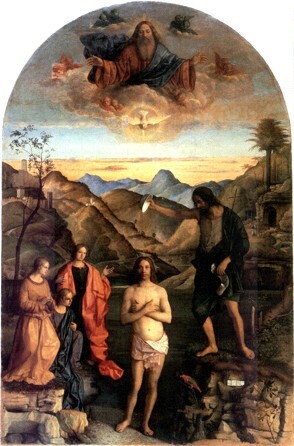 If the destiny of ungodly people who reject Christ is eternal life being consciously tormented in the lake of fire, then Jesus would have certainly reflected it in this parable because the secondary purpose of this story is to reveal the eternal fate of those who reject the Lordship of Christ. Surely Jesus, the Son of God, could’ve easily come up with a clear way to reflect the doctrine of eternal torture in this parable (as well as his other parables). He could have said something like, “But those enemies of mine who did not want me to be king over them — bring them here and torture them in front of me, but be sure not to kill them, just torment them day and night, week after week, month after month, year after year, decade after decade. And all the while I’ll just kick back and pay no mind to it.” Yes, I realize how ridiculous this sounds, but I want to illustrate how absolutely absurd and unbiblical this doctrine is. Let’s face it if a king or ruler were to actually do this in the real world, no one in their right mind would hesitate to declare them unjust, wicked and perverse, no matter how evil the subjects might be. By contrast there’s nothing wrong with a king or ruler justly, but mercifully, executing such wicked rebels. Summing this parable up, let me emphasize that Jesus was teaching this parable in part to back-up and reveal the scriptural truth of what will happen to those who reject him as Lord. What will happen to them? According to Jesus in this parable, they will be brought before the King of Kings and killed in front of him. This will be accomplished by simply casting them into the lake of fire where raging fire will consume them (Hebrews 10:26-27). Could Jesus be any clearer? His words perfectly coincide with the numerous passages we’ve already looked at. Jesus also likened the lake of fire to a “fiery furnace” in Matthew 13:42 and 50. Like Gehenna, “fiery furnace” is an excellent example of the lake of fire because it clearly indicates nothing other than complete incineration — total destruction of soul and body — as Jesus explicitly stated earlier in Matthew 10:28. At the time of your appearing you will make them [God’s enemies] like a fiery furnace. In his wrath the LORD will swallow them up, and his fire will consume them. There’s no mistaking here that “fiery furnace” refers to being utterly consumed by raging fire as God’s enemies are shown to be swallowed up and consumed by his fire, not ludicrously existing in a perpetual state of conscious roasting. In Daniel chapter three, the fiery furnace was so hot that it killed Nebuchadnezzar’s soldiers who simply went near it as they threw the three Israelites — Shadrach, Meshach and Abednego — into it (Daniel 3:22-23). The only reason the three Israelites survived the fiery furnace was because of God’s supernatural protection (verse 27). “Furnace” was also used by the prophet Malachi in the last chapter of the last book of the Old Testament to describe the day when God will judge evildoers: “That day will burn like a furnace” and “not a root or branch will be left to them” for “they will be ashes” (Malachi 4:1-3). We will examine this passage in more detail shortly. As you can see, “furnace” in the Old Testament consistently signifies complete incineration, destruction and death, but never perpetual conscious torment. We can confidently conclude that, if God does not miraculously intervene as he did with Daniel’s three friends who were not harmed by the fiery furnace (Daniel 3:13-27), the ungodly who will be thrown into the fiery furnace of Gehenna will suffer the precise fate of what the enemies of Shadrach, Meshach and Abednigo hoped for them: death by incineration (Fudge 104-105). Notice clearly that, on judgment day, raging fire will utterly consume God’s enemies, not sadistically torture them without end. The Greek word translated as “consume” here literally means “to eat” and is translated as “devour” in the King James Version. We can soundly conclude that raging fire will literally devour God’s enemies when they’re cast into the lake of fire — consuming them wholly. This brings to mind James 5:1-5 which issues out a warning to rich oppressors. Verse 3 states: “Your gold and silver are corroded. Their corrosion will testify against you and eat your flesh like fire.” The word “testify” indicates that James is referring to a time of judgment; this is made clearer in verse 5: “You have lived on earth in luxury and self-indulgence. You have fattened yourselves in the day of slaughter.” “The day of slaughter” is, of course, a reference to “the day of judgment and destruction of ungodly men” (2 Peter 3:7). Notice that the day of judgment is referred to as “the day of slaughter,” not “the day of the beginning of everlasting conscious torment” (sounds absurd, doesn’t it?). That’s because the day of judgment is a day of slaughter where the sins of God’s enemies will testify against them and “eat their flesh like fire” — raging fire will utterly consume them just as Paul taught in Hebrews 10:27 shown above. It is fitting, incidentally, that James refers to the day of judgment as the day of slaughter, since Gehenna, the Biblical example of the lake of fire, often translated as “hell,” was otherwise known as “the Valley of Slaughter” (see Jeremiah 7:30-34 and 19:2-13). Aaron’s sons Nadab and Abihu took their censors, put fire in them and added incense; and they offered unauthorized fire before the LORD, contrary to his command. 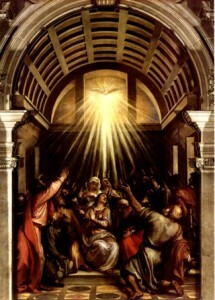 (2) So fire came out from the presence of the LORD and consumed them, and they died before the LORD. We see here that Nadab and Abihu ignored God’s commands and attempted to approach Him on their own terms. As a result “fire came out from the presence of the LORD and consumed them, and they died before the LORD.” Their disregard for the LORD’s will and attempt to approach Him on their own terms represents religion as opposed to Christianity. Religion is the human attempt to connect with God whereas Christianity is God connecting with humanity through Christ. We can either do it our way or God’s way; it’s our choice. And fire came out from the LORD and consumed the 210 men [Korah’s followers] who were offering the incense. Elijah answered the captain, “If I am a man of God, may fire come down from heaven and consume you and your fifty men!” Then fire fell from heaven and consumed the captain and his men. NOTE: This exact same judgment came upon another captain and his fifty men as shown in verse 12. …righteousness and justice are the foundation of his throne. (3) Fire goes before him and consumes his foes on every side. Fire blazed among their followers [Dathan’s rebellious followers]; a flame consumed the wicked. Neither their silver nor their gold will be able to save them on the day of the LORD’s wrath. In the fire of his jealousy the whole world will be consumed for he will make a sudden end of all who live on the earth. Therefore in one day her plagues will overtake her [“Babylon”]: death, mourning and famine. She will be consumed by fire, for mighty is the Lord God who judges her. 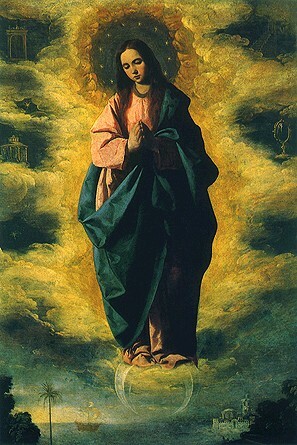 (9) When the kings of the earth who committed adultery with her and shared her luxury see the smoke of her burning, they will weep and mourn over her. As you can plainly see, the biblical fact that God is going to destroy his human enemies by a consuming fire at the second death perfectly coincides with how God has dealt with his human enemies throughout history. This is testimony to the unchanging, consistent character of God (see Psalm 102:26-27, James 1:17 and Hebrews 13:8). Wouldn’t it be strange and totally inconsistent with God’s just, merciful character as revealed throughout history if, on judgment day, he sentenced his human enemies to never-ending roasting torment — a sadistic, unjust, merciless sentence diametrically opposed to his consistent, unchanging character? Of course it would. Notice clearly in all the above texts that God does not wickedly torture these people with fire. No, the fire consumes them. No doubt there’s an amount of terror and conscious pain to this type of execution, but it’s not sadistically never-ending — it mercifully results in death. Is this unjust on God’s part? Not at all. Notice Psalm 97:2-3 above: before stating that God will judge and destroy his enemies with consuming fire, it assuredly states that “righteousness and justice are the foundation of his throne.” You see, we can always be absolutely confident of the fact that God’s judgments are completely righteous and just; and God is not quick in making a judgment; he is “compassionate and gracious, slow to anger abounding in love” (Psalm 103:8); “he is patient… not wanting anyone to perish, but everyone to come to repentance” (2 Peter 3:9b). Yet, there’s a limit to God’s patience and mercy if a stubborn person continually chooses to resist and rebel against him; and when his patience and mercy end, his judgment begins. Yet even God’s judgments are balanced by his mercy and justice. So ends the Old Testament, followed by the period of 400-years silence between the testaments where God would not speak through Scripture prophecy. Like the final chapters of Revelation (the last book of the New Testament) the final chapter of Malachi (the last book of the Old Testament) contrasts the final destinies of both the righteous and the unrighteous: For those who revere God’s name, “the sun of righteousness will arise with healing in its wings.” They will experience warmth and healing in the light of His presence as He binds up their bruises, heals their wounds and wipes away every tear (see Isaiah 30:26 and Revelation 21:4). The righteous will “go out and leap like calves released from the stall.” In other words, just as a calf leaps for sheer joy when finally turned loose into the sunlight after being confined to a stall for extended periods of time, so it will be with those who revere God’s name. As for those who do not revere God’s name, “all the arrogant” and “every evildoer,” they will be like stubble set on fire; they will be burned up so completely that “not a root or branch will be left to them”; they will be like ashes under the soles of the feet of the righteous. These easy-to-understand figures eliminate any possibility of remnant or survivor. A clearer example of literal destruction could hardly be given. Thus ends the Old Testament with the righteous ultimately rejoicing in God’s salvation and eternal life while evildoers are utterly destroyed — gone forever with no remnant or possibility of restoration. Once again, there is no mention whatsoever of people existing forever in a perpetual state of fiery conscious torment. All we see is a clear picture of “every evildoer” being utterly and totally destroyed by raging, consuming fire. Is Malachi 4:1-5 Applicable to Everlasting Destruction? The above passage is such a strong stumbling block to the view of eternal torment that advocates of this view try to dismiss it altogether, suggesting that the text is referring to the battle of Armageddon on the day of Christ’s second advent and thus is not applicable to the second death. The passage is referring to “the day of the Lord” (verses 1,3 and 5). What is “the day of the LORD?” This phrase appears 19 times in the Old Testament and 4 times in the New Testament to express the time of God’s extreme judgment and wrath. These 23 texts do not all refer to the same specific judgment. For instance, in Ezekiel 30:3 “the day of the LORD” refers to a near future (now historical) judgment of Egypt; in Zechariah 14:1 and 2 Thessalonians 2:2 it refers to a far future judgment. Two “day of the LORD” expressions yet remain to be fulfilled: 1. At the end of the 7-year tribulation period or Daniel’s 70th week (see Joel 3:14), and 2. At the end of the millennium (see 2 Peter 3:10). Both of these specific judgments result in condemned people being thrown into the lake of fire: The pre-millennial judgment of Christ will take place at the end of the 7-year tribulation period (see Matthew 25:31-46) otherwise know as the judgment of living nations; and the great white throne judgment will take place at the end of the millennium (see Revelation 20:11-15). Malachi 4:1-5 is applicable to either of these judgments. As you can see, both texts liken the lake of fire to a blazing furnace; both texts liken “evildoers” to combustible matter that will be burned up (“stubble” and “weeds”); both texts reveal that, after all evildoers are destroyed, the righteous will shine like the sun; and both texts reveal that all that will be left of the ungodly will be ashes (Malachi 4 expressly states this in verse 3 whereas Matthew 13 implies it with the figure of “weeds… burned in the fire”). Since these are clearly coinciding passages both refer to the ultimate end of the ungodly in the lake of fire, the second death. Thirdly, notice that Malachi 4:1 refers to a time when “all the arrogant and every evildoer” will be destroyed. Biblically, we know that all evildoers will not be destroyed until “the day of judgment and destruction of ungodly men” (2 Peter 3:7) when all “the wicked will be no more” (Psalm 37:10). Fourthly, notice that Malachi 4:1 states that “Not a root or branch will be left to them” and verse 3 states that all evildoers will be “ashes.” Both verses are figurative, but the picture they intend to portray is clear: there will be nothing left of the ungodly but ashes when God’s raging fire consumes them. 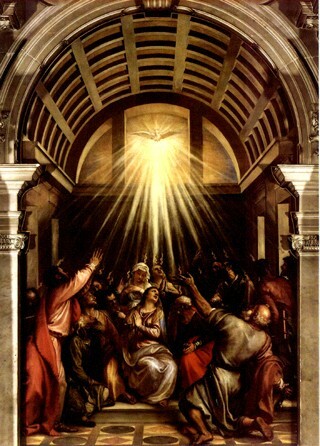 They will be totally destroyed — both soul and body as Jesus solemnly declared. No mention is made anywhere of their souls living forever in a state of fiery conscious torment. If this perverse religious belief were true, why would the LORD leave out something of such importance? This is way too significant of a “detail” to leave out. Lastly, it just makes good sense that the Old Testament would sign off with a clear declaration of the final destiny of both the righteous and the unrighteous just as the New Testament does. In light of all this support, we can confidently conclude that Malachi 4:1-5 is indeed applicable to the subject of everlasting destruction. …he suffered death, so that by the grace of God he might taste death for everyone. We see here that Jesus suffered and tasted death for everyone. This is what God would have had to do to us on judgment day if Jesus hadn’t suffered and died in our place. In other words Jesus suffered the very penalty that we were to suffer, and that penalty is suffering that ends in death. Jesus didn’t die for us so that we don’t have to experience earthly death, the first death; he died for us so that we don’t have to suffer the second death. So Christ’s death on the cross is a window for us of what the second death essentially is; and the only view we see through this window is suffering that ends in death, not never-ending conscious torture. Unlike the ungodly people cast into the lake of fire, who will suffer everlasting destruction, Jesus rose from the dead “because it was impossible for death to keep its hold on him” (Acts 2:24b) (Fudge/Peterson 204). God had to raise Jesus from the dead, otherwise we would not be justified and have the hope of eternal life (see 1 Corinthians 15:12-22 and Romans 10: 9-10). The bottom line is that Jesus “tasted death for everyone,” he didn’t taste eternal conscious torture for us, he tasted death. If Jesus’ substitutionary death had to consist of what supporters of eternal torture say the wages of sin is then Jesus would have to still be suffering never-ending torment. Are you following? In Chapter One we examined the Greek word apollumi (ah-POHL-loo-mee). We saw how the usual definition of this word — “to destroy fully” (Strong 14) — is applicable to the second death of the ungodly because Jesus used apollumi to describe the utter incineration of Sodom and Gomorrah, which is an example of the second death. NOTE: As stated in a previous note, Jesus no doubt spoke in Hebrew or Aramaic during his earthly ministry, but biblical writers recorded his words in Greek under the inspiration of the Holy Spirit. Like many words, apollumi has secondary definitions; one of its secondary definitions is “lost.” A good example of apollumi used in this manner would be Luke 19:10 where Jesus states, “For the Son of Man came to seek and save what was lost (apollumi).” In this text unredeemed people are said to be “lost” — but lost from what? And lost in what sense? Let’s look at two parables where Jesus answers these questions. 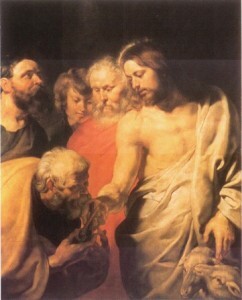 As you can see, Jesus likens an unsaved person who is lost from God to a lost sheep that has strayed from its shepherd. Obviously apollumi means “lost” primarily in the sense that the sheep was lost from its shepherd. But what would have happened to the lost sheep if the shepherd had not gone to save it? Jesus doesn’t say, but he doesn’t have to as everyone knows that a lost sheep, separated from the protective care of its shepherd, would die — prey to predators — if not found. So the sheep was not only lost in the sense that it was lost from its shepherd, but lost in the sense that it would ultimately perish if not saved as well. In the same way, a sinner who is lost from God will most certainly perish if not saved; they will suffer everlasting destruction of soul and body in hell (Gehenna). This is the second death. That’s why sinners are said to be “perishing” in the Scriptures (e.g. 1 Corinthians 1:18); they’re lost from God and on their way to ultimate perishment. “When he finally came to his senses he said, ‘How many of my father’s hired men have food to spare, and here I am starving to death! (18) I will set out and go back to my father and say to him: Father, I have sinned against heaven and against you. (19) I am no longer worthy to be called your son; make me like one of your hired men.’ (20) So he got up and went to his father. As you can see, this parable is very similar to The Parable of the Lost Sheep. The main difference being that this tale is dealing with a lost person rather than a lost animal. The Greek word apollumi in this parable means “lost” in the very same way it does in The Parable of the Lost Sheep: 1. The wayward son was lost to his father in the sense that his relationship with him was dead — that is, they no longer had a relationship, it ceased to exist. His son was consequently as good as dead to him. That’s why the father exclaims when the son returns, “For this son of mine was dead and is alive again.” Once the father’s son returned, their relationship resumed and he consequently became “alive” to him again. 2. Like the lost sheep who would have perished apart from the protective care of its shepherd, the prodigal son was also lost in the sense that he would have perished if he didn’t return to his father. This conclusion is supported by verse 17 which says that the lost son would have starved to death if he hadn’t “come to his senses” and returned to the father. In the same way, lost sinners are dead to the Heavenly Father — they are incapable of having a real relationship with him due to spiritual death — and are on their way to “starving to death” apart from him. Unless they “come to their senses” and repent of their sin (accepting Jesus as Lord, of course) they will indeed perish in the absolute sense. As observed in our reading of The Parable of the Lost Sheep above, the Greek word apollumi can also mean ‘lose:’ “ ‘Suppose one of you has a hundred sheep and loses (apollumi) one of them.’ ” As already determined, apollumi means “lose” here in the sense that the lone sheep was lost from its shepherd and would’ve certainly perished if not found. Apollumi here obviously refers to suffering the loss of (or being deprived of) a reward. Paul assured the crew that none of them would suffer the loss of even a single hair. As you can plainly see from these three examples, apollumi simply means “lose” in the sense of suffering the loss of something — a sheep, a reward, a hair. Jesus states in the latter half of verse 24 that “whoever loses his life for me will save it.” What exactly does this mean? Well, when a person is born again – repenting of sin and confessing Christ as Lord (Acts 26:20 & Romans 10:9-10) — they miraculously become “a new creation; the old is gone, the new has come!” (2 Corinthians 5:17). The spiritual part of their being is born anew. That’s why Paul proclaimed, “I have been crucified with Christ and I no longer live, but Christ lives in me” (Galatians 2:20). This is basically what Jesus meant by “losing your life for him.” So Jesus was simply saying that anyone who gets spiritually born-again will save his/her life. (See Appendix B Understanding Human Nature for more details on this). This is in contrast to anyone who tries to save his or her own life; for as Jesus declares in the first part of verse 24 — such a person will lose his or her life! We’ve all been “bought” and saved by God at a great price — the sacrifice of his Son, Jesus Christ. We are therefore “not our own” (1 Corinthians 6:19-20). People who reject this sacrifice are essentially trying to keep or save their own lives. They know that if they truly acknowledge the Lordship of Christ, they’ll have to give up living for their fleshly desires and start living for God. This means that they’ll have to give up (repent of) sin; unfortunately, many people don’t want to do this because they love their sinful lifestyles and don’t want anyone telling them what they morally can or can’t do (see John 3:19-20). They don’t want Christianity, they want Selfianity or fleshianity. (I guess they don’t realize the obvious fact that God wants Lordship over our lives and instructs us to do, or not do, certain things for our ultimate benefit and blessing, not to deprive us). As Jesus points out here, such people will end up losing their lives. This fact is reinforced in verse 25: “What good is it for a man to gain the whole world, and yet lose (apollumi) or forfeit his very self.” Notice how the word “gain” is used in contrast to “lose” and “forfeit;” we can therefore soundly conclude that lose and forfeit would be the exact opposite of gaining something. Now notice what Jesus said a person who tries to “save his own life” will lose or forfeit: he said that he would lose or forfeit his very self! The conclusion we must draw from all this information is simply this: a person who rejects giving up her life for Christ will end up losing her life, her soul, her very self. How much clearer could Jesus possibly be? The only people who will preserve their lives for eternal life are people who are willing to give up their lives for Christ (which, once again, means getting born-again and thus being “crucified with Christ;” and growing spiritually from there). People who refuse to do this will lose their lives. Jesus isn’t saying that Christians can’t enjoy living while in this world (on the contrary, 1 Peter 1:8 states that believers will be “filled with an inexpressible and glorious joy”), he’s simply teaching in line with the biblical fact that true Christians are strangers in this world (Hebrews 11:13 & 1 Peter 1:1) who “are looking forward to a new heaven and new earth, the home of righteousness” (2 Peter 3:13). The reason Christians are said to be strangers in this world and “hate” their lives on earth is because the present condition of this world is not the way God wants it to be. Consider, for example, the pain, death, disease, injustice, poverty, atrocities, immorality, wars and crime evident all over this world. NOTE: “Hate” here is translated from a Greek word which by extension means “to love less” (Strong 48). All these evils are evidence that the devil is “the god of this world;” in other words, the whole world is under his influence or control (see 2 Corinthians 4:4 & 1 John 5:19). Revelation 21:1-4, on the other hand, reveals how our good, just, loving God wants life to be on earth, for when he creates a “new earth” there will be “no more death or mourning or crying or pain, for the old order of things has passed away” (verse 4). Getting back to our text, Jesus is simply stating that a person who hates his or her life in this world in the above manner “will keep it for eternal life.” By contrast, those who love their sinful, rebellious lifestyles in this wicked world and reject giving up their lives to Christ’s Lordship will ultimately end up losing their lives. When exactly will these selfish people who reject God’s grace lose their lives, their souls, their very selves? Obviously on “the day of judgment and destruction of ungodly men” (2 Peter 3:7) where God will “destroy both soul and body in hell (Gehenna)” (Matthew 10:28). Please notice in all these passages that Jesus repeatedly stresses that ungodly people will lose their very lives if they don’t accept the gospel. He’s says absolutely nothing about people keeping their lives and spending it in never-ending roasting agony. This perverse belief is a false, unbiblical doctrine and needs to be exposed for what it is. That’s what this study is all about. 1. The very word “hell” itself is an unmistakable example of literal everlasting destruction as Gehenna, the Biblical word translated as “hell” in reference to the lake of fire, was a very certain symbol of destruction which all of Jesus’ listeners readily understood. 2. Jesus and John the Baptist proclaimed that “at the end of the age” (i.e. judgment day) the unrighteous will be like weeds, trees, branches and chaff thrown into fire. It goes without saying that combustible articles like these burn up in fire. We also viewed similar examples from the Old Testament and the book of Hebrews. 3. In The Parable of the Ten Minas Jesus used the example of a king having his enemies brought before him and executed. 4. Jesus twice spoke of the lake of fire as a “fiery furnace” — an unmistakable figure of complete incineration as revealed in the Old Testament. Articles thrown into a furnace are burned up, not perpetually preserved. 5. We viewed many examples of how God consumed his human enemies by fire throughout history and saw that these examples perfectly coincide with the clear biblical passages which state that God’s enemies will be consumed by raging fire at the second death (e.g. Hebrews 10:27 and Psalm 20:9). 7. We discovered that the very crucifixion of Jesus Christ is an example of the second death. Jesus suffered God’s wrath on the cross and died. He was sacrificed in our place. This is a window for us to view the essential nature of the second death, and the clear picture we see through this window is one of suffering that ends in death, not never-ending torture. 8. We also observed the examples of the lost sheep, which would have perished if not saved by its shepherd, and “the prodigal (lost) son,” who would have “starved to death” if he didn’t make the wise decision to repent and return to his father. 9. Lastly, we witnessed how these many clear examples are backed up by Jesus’ declarations that those who reject God’s sacrifice for their sins and try to “save their own lives” will end up losing their lives, their souls, their very selves. As you can see from all these illustrations, not only does the Bible repeatedly declare that people will be destroyed in the lake of fire, as shown in Chapter One, it also backs up these plain declarations with numerous easy-to-understand examples of literal everlasting destruction. Those who adamantly contend that the Bible teaches eternal conscious torment for ungodly sinners are quite mistaken. NOTE: You can purchase a low-priced book version of HELL KNOW, which contains additional material, here (350 pages); or you can get the eBook version here for only $2.99. Both links allow you to “Look inside” the book. How to explain 2 Thessalonians 1:9? That verse is addressed in this chapter (Chapter One) of HELL KNOW. In flaming fire taking vengeance on them that know not God, and that obey not the gospel of the Lord Jesus Christ: 9 Who shall be punished with everlasting destruction (olethros) from the presence of the Lord, and from the glory of his power. The first part of this passage shows that God will punish those who reject the gospel and verse 9 reveals exactly what this punishment will be: everlasting destruction. This obviously refers to destruction that lasts forever and not to an endless process of destroying without ever quite destroying, as supporters of eternal torment weakly argue. After all, to perpetually destroy without ever destroying isn’t really destruction because the destruction never actually takes place. This would be everlasting torment but not everlasting destruction. 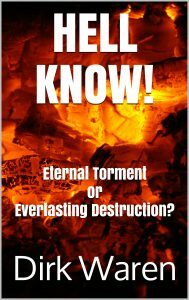 Adherents of eternal torture also argue that if, in fact, “destruction” refers to complete extinction it would not be necessary to describe it as “everlasting.” The reason the destruction is described as everlasting is obvious: “Everlasting destruction” is a reference to the second death. The second death is different from the first death in that everyone is resurrected from the first death to face judgment whereas no one is resurrected from the second death. It is a death that lasts forever — an “everlasting destruction” — destruction that lasts forever. The passage goes on to reveal that this everlasting destruction shall proceed “from the presence of the Lord, and from the glory of his power.” This is further proof that it is God Himself, the supreme authority and judge, who will execute the everlasting destruction of the second death, as also verified in Matthew 10:28 and Hebrews 10:26-27,31. The New International Version translates verse 9 as “They will be punished with everlasting destruction and shut out from the presence of the Lord and from the majesty of his power.” This translation is acceptable as well, as both versions could be read together as such: God will punish the ungodly with everlasting destruction which proceeds from his presence and, consequently, removes and eradicates them from his presence forever (Fudge/Peterson 60). To shed a bit more light on the meaning of olethros, the Greek word translated as “destruction” in this text, the verb form of this word, olothreuo (ol-oth-RYOO-oh), is used in Hebrews 11:28 in reference to the death angel — “the destroyer” — who slew all the firstborn of Egypt (see Exodus 12:29). So we’re talking about destruction in the sense of slaying here, which will be executed by God Himself on “the day of judgment and destruction of ungodly men” (2 Peter 3:7). Thanks for the clarification of your position. Yes, and I am sorry for not wording that correctly. My apologies. I should’ve read the entire website before commenting, and will do so from this point forward. Immediately after sending my initial comment on this article, I happened upon your position of “soul sleep.” Soul sleep is the doctrine that ALL men souls AND bodies die and stay in the grave until their resurrection. I am happy to see that you have a biblical understanding on this doctrine/topic. God bless. Even though I agree with what is posited throughout these articles, I still do not believe in soul sleep. Is that something that is believed by you and your colleagues? Thanks, and God bless. Because believers are spiritually regenerated and possess eternal life inwardly (1 Peter 1:23) they go to be with the Lord during the “intermediate state” between physical death and bodily resurrection. This is a conscious state and it’s detailed in this chapter of Sheol Know. As far as the intermediate state of unregenerated souls is concerned — which includes Old Testament saints — this ties into the nature of Sheol/Hades and is thoroughly covered by numerous passages in the Scriptures. This is the main topic of Sheol Know. I encourage you to go through the twelve chapters and draw your own sound conclusion. If by “soul sleep” you mean that unredeemed souls literally snooze in Sheol during the intermediate state then, no, the Bible doesn’t support this notion. In any case, your question is fully answered in Sheol Know and specifically addressed in one of the chapters, so I will say no more here. I can only speak for myself. I don’t go by belief because belief has to do with human opinion and all that influences it, including erroneous religious tradition and sectarian bias (please don’t take that wrong; I’m not saying all religious tradition is “erroneous”). Instead, I go by what the Bible clearly and consistently teaches based on obvious hermeneutical principles, like “Context is king” and “Scripture interprets Scripture.” The conclusions drawn in both Hell Know and Sheol Know are based on this. My point is that what people believe — including you or me — isn’t important; what matters is what God’s Word clearly and consistently teaches on any given topic, which is what I focus on in all my teachings, here and elsewhere. This isn’t to say, of course, that I “know it all” on these topics or any other, not at all. I just strive to be honest, studious and balanced with the Scriptures and my brothers & sisters are welcome to question or challenge anything. If they can convincingly prove a dissenting point via Scripture I’ll humbly change and make the correction. Thanks for the feedback, brother.